For the second time in recent years, a great power has been putting forward an ultimatum to the President of Turkey. This time, he is asked to choose between NATO and Russia. But if last time Erdogan could fulfill foreign requirements without losing his face, now he does not have such an opportunity. In 2016, Erdogan apologized to Putin, and now he cannot, and does not want to accept the demands of Washington. The celebration of the 70th anniversary of NATO took place against the background of unprecedented differences between the United States and one of the key members of the alliance. States attacked Turkey - a country whose army in the alliance is the second largest after the American. From Washington, where NATO foreign ministers have gathered for the summit, in the last couple of days more and more harsh statements have been heard. 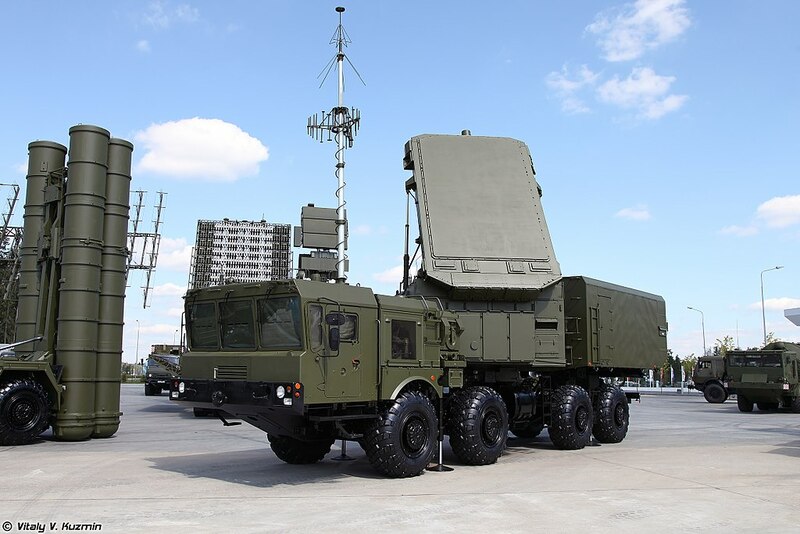 The formal reason was the reluctance of Turkey to obey the demands of the United States to abandon the purchase of the Russian S-400 complex. A month ago, the Americans threatened to leave Turkey without an F-35 (in the production of which Turkey takes part), because there allegedly is a danger of getting information about the qualities of these planes to the Russians, which will be served by Turkish S-400s. Now these threats have become even more real. In response, the head of the Turkish Foreign Ministry, Mevlüt Çavuşoğlu, who was in Washington, said that the supply of S-400 is a resolved issue. Çavuşoğlu said that in a recent telephone conversation with Erdogan, Donald Trump promised to resolve the problems surrounding the purchase of the S-400 and resolve the issue of supplying American F-35 (the Turks wanted to buy up to 100 pieces) and the Patriot (the Americans offer this system to the S-400, but Ankara is ready to take it not instead, but together). It is clear that this is not about the S-400 - everything is much deeper and more serious. The Russian anti-aircraft complex was just the last straw. Turkey does not want to withdraw from NATO, the United States cannot exclude it (it would be a mortal blow to the alliance), and they don’t want to - Washington simply puts pressure on Ankara. .
Turkey does not like American support for the Kurds in Syria (it ends, but the sediment remains), Turkey does not like American plans to create a NATO base in Cyprus (the northern part of which is inhabited by Turks and functions as unrecognized by anyone except Ankara), Turkey does not like American support for the coup attempt in 2016 and Gulen's harboring. Turkey does not like the escalation of the presence of NATO ships in the Black Sea. Turkey is dissatisfied with its historical rival and Greece’s formal NATO ally - for example, the Iniohos exercises that started this week, which take place in the Mediterranean and Aegean seas, with the participation of, inter alia, the United States and Israel. In addition, Turkey has many disagreements with the United States throughout the wider Middle East, in particular, Turkey is not going to join the pressure on Iran. Turkey is not just a regional power - it claims the status of one of the main leaders of the entire Islamic world, if not sole, then. And this is the main reason for the fact that Turkey is closely within the framework of NATO and it cannot allow even a hint that it is at least to some extent a puppet of the United States. And it's not only about hating the US in the Islamic world, but about the fact that a country claiming to become the main spokesman for the interests of the Islamic world in its relations and confrontation with the West cannot be part of the West. Turkey no longer hopes to join the European Union. And Erdogan himself for all 15 years of his rule leads the country towards gaining greater geopolitical independence, and not rapprochement with the EU. In addition to geopolitical disagreements with the United States, ideological contradictions are even more serious - the moral values of the Muslim Brotherhood, whose political ideology can be considered Erdogan, is much closer to Russia and China than to the modern West. That is, the contradictions between Turkey and the United States are so deep and diversified that it is rather surprising that Turkey is still in NATO. Moreover, its entry into the alliance was caused primarily by the fear of Russia. Yes, in 1952, Turkey joined NATO at the American invitation and, contrary to the wishes of many Europeans, precisely because she was afraid of the USSR and there were objective reasons for this. But as the experience of the last decade and a half has shown, during the reign of Erdogan, Turkey and Russia can not only compete, but also cooperate, even where it is extremely difficult - as in Syria. The Turkish Stream and S-400 supplies are the two main symbols of Russian-Turkish rapprochement. Russia and Turkey need each other to achieve a very specific goal - strengthening the country's independence and gaining more geopolitical weight. Yes, the rapprochement of the two countries does not limit their sovereignty and international weight, but, on the contrary, strengthens it. This is very difficult, but Putin and Erdogan are doing everything to move along this advantageous path for both countries. The contrast between what gives Turkey membership in NATO (that is, the collective West) and cooperation with Russia is becoming increasingly obvious - and if the Americans impose sanctions on their formal military ally (for example, with the refusal to supply the F-35) it will be just blatant . The acquisition of the S-400 was not easy for Erdogan - but deciding on this, he no longer assumed that this would be a good trump card in a game with the United States. Buying an S-400 makes Turkey more sovereign precisely because it decided on it, and therefore no threats from the Americans have any meaning, and bargaining is meaningless. After all, the goal of Erdogan’s entire policy is precisely to become stronger and more independent. And what can you trade it for? A big dependence on the US? Moreover, there can be no excommunication from NATO. It is completely unprofitable for the atlantists, not to mention the fact that it can also lead to the actual disintegration of the alliance. Now Erdogan cannot go for the fulfillment of Washington’s ultimatum and refuse to buy the S-400 - not even because he loses his face to Putin and his own people, but because it completely contradicts all the goals of his policy aimed at strengthening Turkey.